Takeaway: From plastic forks, coffee filters, diapers, and eggshells, there are many common household items that can help you out in the garden, without having to spend a fortune! Vegetable growing has long been considered an art form. Whether you plant for fun, relaxation, food, or a mixture of all three, not many feelings can beat the satisfaction of a great haul come harvesting time. It works both ways, though. All of the dedication, time, and effort put into the garden can be seen as wasted if the bounty isn’t as great as you’d hoped. Luckily, we have a fair amount of vegetable growing hacks for your best-ever haul on hand to help you out. The next time you make an omelette, don’t be too rash in throwing away the shells. They are full of calcium, protein, vitamins, and minerals that are incredibly useful in aiding vegetable growth. This alone is a good enough reason to add them in your soil, but it doesn’t stop there. 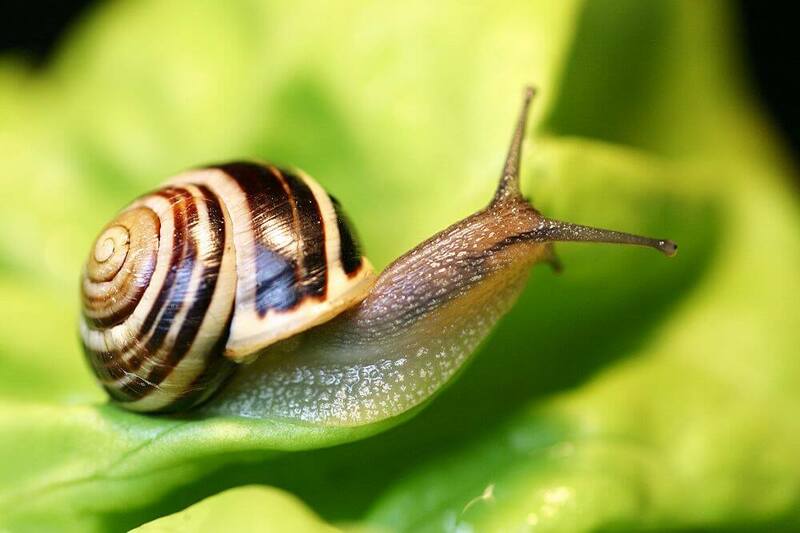 Common garden-munching pests, such as slugs and snails, really aren’t fans of egg shells. The jagged and sharp edges aren’t too kind to the foot of a snail or slug. This usually results in a part, if not a full-scale emigration of these mollusks as they try to find easier ways to get their lunch. 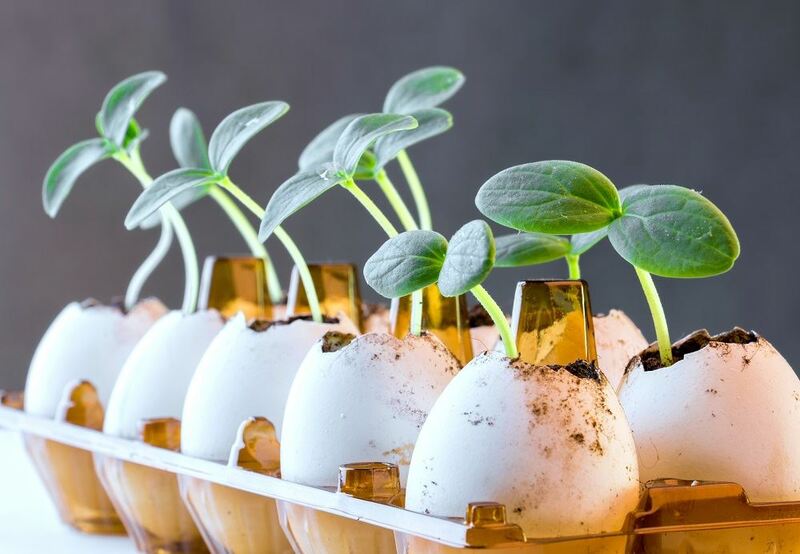 Egg shells can also be the seed-starter pots you’ve been looking for. A small hole in the ‘sharp’ end, or top of the egg, cleaned with boiling water, and a smaller hole for drainage at the ‘blunt’ end, or bottom, should do just the trick. From there, you can fill the shells with your soil and seeds, put them back into the carton, and wait until they outgrow their starter pots. Transplanting is pretty straightforward as you can keep the shell. You’ll have more seeds ready to go, resulting in a bigger harvest come ripening. When you water your plants, where does all of the moisture go? In an ideal world, it slowly trickles among your vegetables, finding its way to where it is needed the most. If you’ve ever watched an indoor plant pot, though, you’ll know that water can sometimes just soak through the soil immediately, taking a lot of the moisture with it. It’s not impossible to keep your water local and stop it from flushing through so dramatically. An empty wine bottle can come in handy here. Simply fill it with water and place it neck down in a way that allows water to escape slowly. A more concealed way to keeping your vegetables effectively hydrated for longer is to plant a plastic bottle with holes poked through it next to your veggies, leaving just the bore (the part where liquid goes in and out) exposed. The water will seep steadily to the roots, being gratefully accepted directly where needed. This should give your plants every chance of growing as big and strong as possible. On the subject of drainage, and touching on the aforementioned plant pots, keeping moisture and goodness inside something designed to allow drainage can be tricky. Watching water flow right out of a plant pot can be a nightmare for even the most seasoned grower. 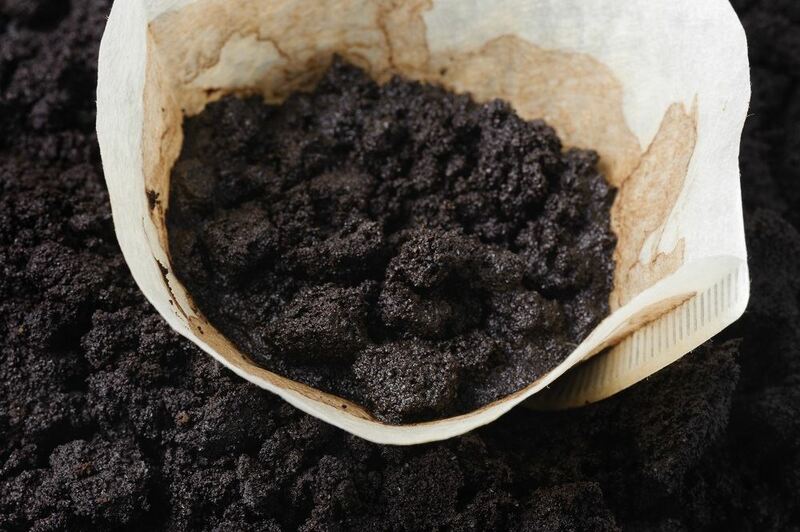 Small pots can be lined at the bottom with a coffee filter, or even a cupcake wrapper, to stop this from happening. With a filter in place, water will still be able to drain but the soil will have more time to absorb the moisture it needs. Retaining moisture in larger pots is possible with a diaper. This is easily enough achieved with the same methods as the coffee filter technique. Diapers contain a substance that allows them to hold a significant amount of water. When wet, this substance comes into play and slowly releases held water and at the same time, excess liquid is absorbed by the diaper. It essentially maintains the perfect amount of moisture. The age old battle between gardener and pest is one that will never go away. Protecting your vegetables from the various animals on the prowl is by no mean an easy feat. If you haven’t tried any of these yet, you could be about to change your garden forever. Plastic forks work well as they don’t pose sufficient harm but successfully keep bigger foes, such as cat and squirrels, away. All you have to do is stick them in the ground, tines up. As for those smaller garden visitors, many vegetable growers are against using chemical pesticides on something they are ultimately going to end up eating. If you’re not against encouraging the circle of life, you can use plants that will attract predators that won’t be after your bounty. Alternatively, some insects, especially aphids, have a distaste for strong scents. Basil, mint, and chives are particularly good for keeping them away and can be used with your vegetables later down the line. Epsom salt is one the vegetable grower’s most trusted sidekicks. Its benefits are almost endless. High in magnesium and magnificently multi-functional and diverse, Epsom salt contributes to plant health, growth, and production. Magnesium deficiencies in plants can result in smaller vegetables that are lacking in taste. Epsom salt takes away this issue almost completely, giving a boost and allowing your vegetables, particularly tomatoes (yes, technically a fruit but still an honorary vegetable) and peppers, to flourish in size and numbers. As an added bonus, Epsom salt can act as a non-toxic way to keep slugs away. No other substance can claim to help growth and nutrient intake as effectively. You really do get a better chance of increasing your haul when you use it. 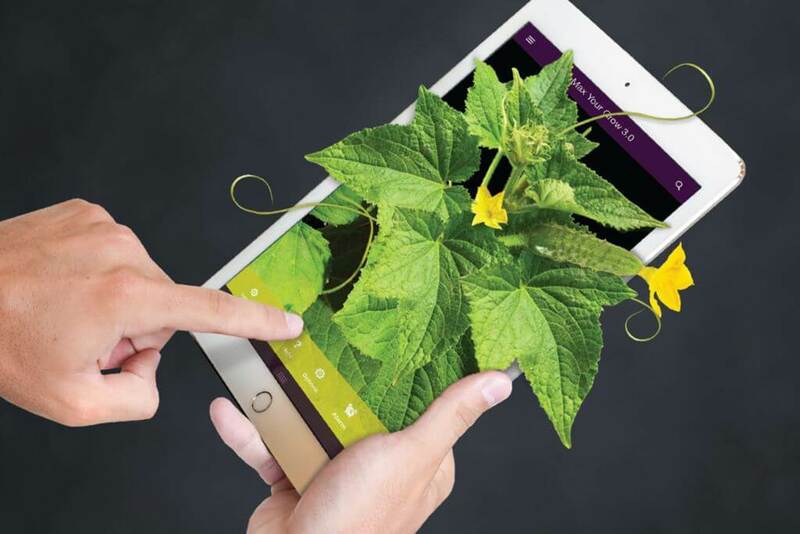 This may sound a bit controversial to the traditional gardener, but getting a helping hand from garden software and apps can open up a whole new world of opportunities and knowledge. Effective planning is a fundamental element of ensuring maximum vegetable haul. That includes knowing when and where to plant, vegetable spacing, and when to take them from the ground. Software and apps can also help you stay aware of when you can plant new veggies, helping you get more from your space. Vegetables are great. Tasty food that is also good for you; why wouldn’t you want to maximize yields when growing them yourself? With a whole host of hacks to keep your yield as high as possible, you don’t necessarily need to shell out on expensive equipment. Simple tricks can be the difference between satisfaction and disappointment come harvest. Ed Sloane is a huge fan of gardening, particularly planting fruit and vegetables. When he isn’t in the garden with a trowel, he runs Garden Benches, a supplier of seating furniture to enjoy everything else that the garden has to offer in comfort and style.